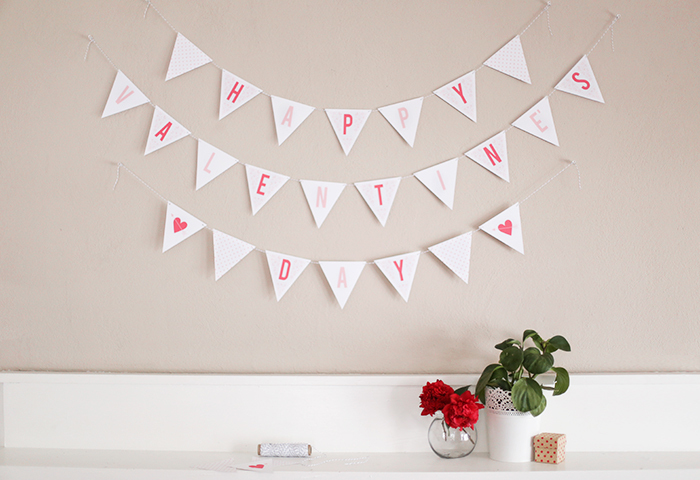 Valentine's Day Printable: DIY Bunting! 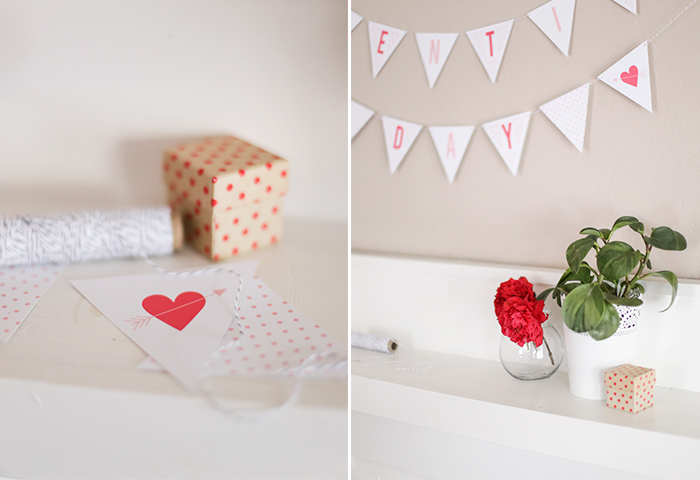 03 Feb Valentine's Day Printable: DIY Bunting! 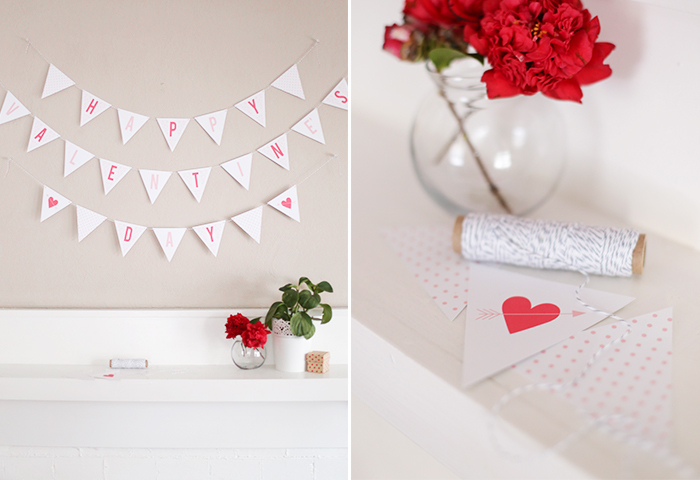 Looking to dress up your digs for Valentine’s Day this year? 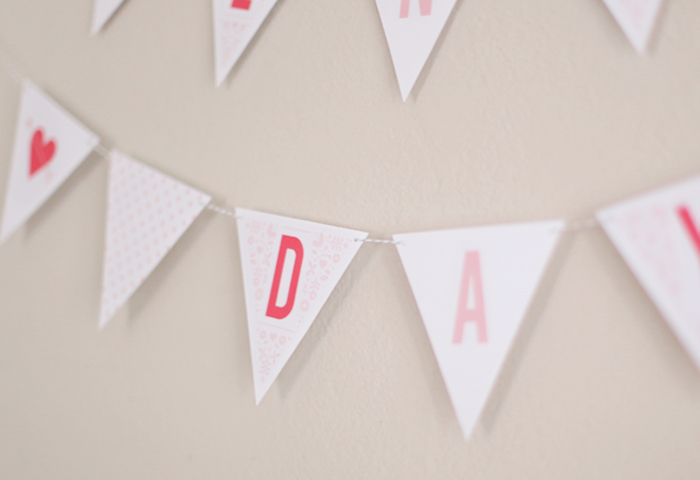 Be sure to download our handy DIY bunting printables below! The full set includes individual letters to spell out “Happy Valentine’s Day” as well as decorative flags to be used as spacers and accents. 1 – First step is to print the 4 flag sheets. You can do this on a home printer or through a local shop like Staples/Fedex. 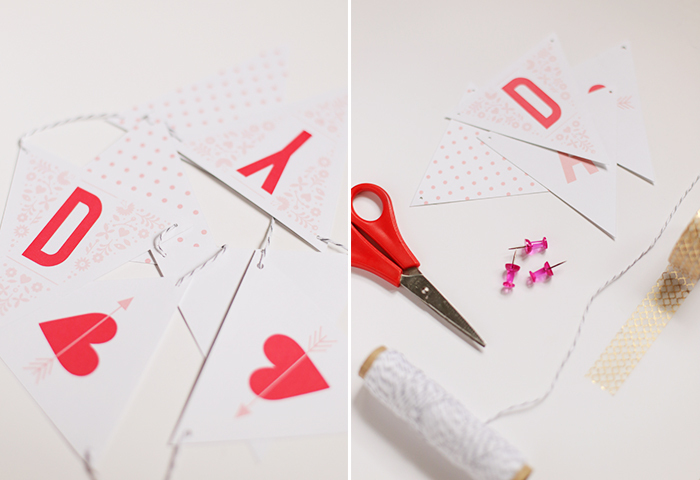 2 – Now trim each flag out either using an X-Acto knife paired with a ruler, or cut out with scissors. 3 – With your hole punch, add a hole to the top corners of each flag. The 1/8″ punch is great because it leaves very small holes that will not cut into the design. 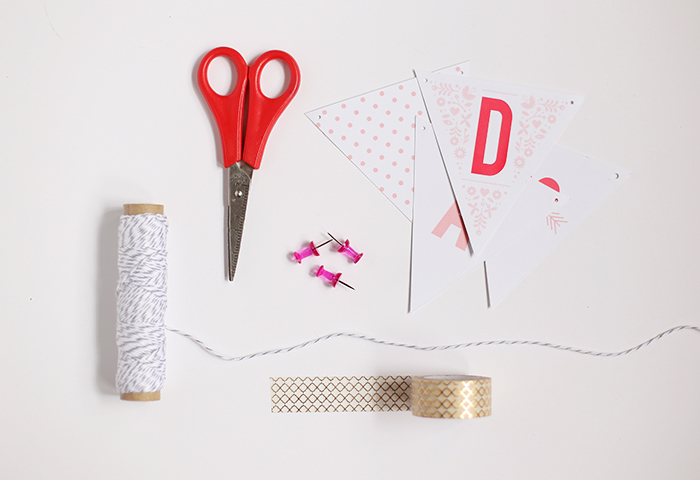 4 – String your twine through each flag, with the string hidden in the back. Be sure to leave space on each end to hang. 5 – Attach to the wall with either push pins or mounting tape! Click here to download your printables!